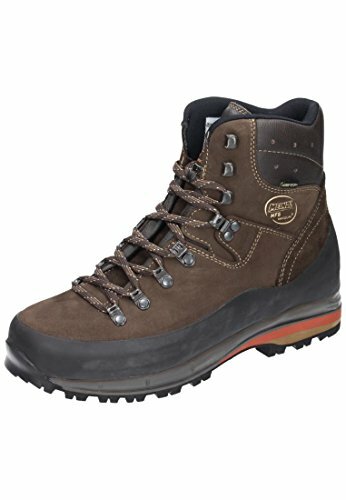 What Are The Best Hiking Boots With Ankle Support? Hiking? That’s our kind of thing! Running and sports shoes are very light and serve an excellent purpose if you intend to cover long distances on flat and even surfaces like roads, tarmac, etc. The question is, is that the kind of shoes you need for your hiking expeditions? Will they protect your feet and ankles adequately? In short, no, we definitely do not think so. When you’re hitting the trail, you need hiking boots, or for less difficult terrain, trail shoes. As a general rule, we recommend hiking boots over trail shoes (although we of course use both), as they provide more stability and support, particularly around the ankles. Before we review this subject further, if you just want to know where to find great hiking boots, check out our top hiking boot recommendations for men and our top hiking boot recommendations for women, they all offer great ankle support. When you’re out hiking, typically you will go over a wide variety of terrain. Everything from flat and even trails to rocky ridges are on the cards for the more adventurous hiker. This is all good and the reason why hiking is so enjoyable. However, when you’re on that kind of varying terrain, you are of course running a greater risk of turning over on your feet, slipping, etc. and heaven forbid, twisting or even breaking your ankle. Ankles, as well as feet and knees, are one of the typical areas of the body prone to suffering when you have a nasty twist or fall on the trail. Enter hiking boots with good ankle support! I can’t count how many times I’ve put my foot down onto a grassy piece of ground, only to find that there is a hole there, and my ankle has jerked off to the side as I adjust my body to find stability. Likewise, I’ve walked up plenty of wet rocks on ridges in my hiking career, and once or twice, I’ve had a bit of a slip. All was fine though, as I had solid hiking boots that had appropriate protection for my ankles. So while I certainly felt a tug when I slipped, my sturdy boots kept my ankle secure enough so no ligament, muscle or bone damage was done. Also, typically when you hike, you carry a pack of some kind, be it a day pack when day hiking, or a backpack if you’re out hiking for longer. This extra weight on your back makes you more prone to losing stability and falling, should you have a minor slip i.e. it’s harder to maintain your balance with a heavy load, when you take a small slip. Good hiking boots with good ankle support help greatly with this problem. In short, it’s the construction of your hiking boots that provide the stability and support in them. This is why investing in quality hiking boots is, in our humble opinion, so important. You need hiking boots that have a well-constructed upper that works well with all the other constituent parts of your boots e.g. midsole, shank, etc. The upper will typically be leather or textile or a mix of the two. Leather can be a very good option for providing more stability around the ankle, but there are also excellent leather and textile mix options too. The outsole of course must have good grip to help prevent slipping, Vibram soles are excellent for that, and you of course want good cushioning around the feet and ankles. Cushioning around the ankle will be held in place by a good lacing system, which of course holds your boots in place as you hike. All these things put together provide the sum total of the level of ankle support you can count on, while out on the trail. Obviously, it’s all in the name 🙂 Hiking shoes, or trail shoes, are shoes, and so do not provide any ankle support, so they’re a non runner in that regards. Don’t get me wrong, they are great and they have their function, but if you are heading off to hike in places where you need good ankle protection, they’re not the way to go in our opinion. We recommend you check out our top hiking boot recommendations for men and our top hiking boot recommendations for women, they all have great ankle support to one degree or another. However, as mentioned at the start of this article, we’ve singled out two top performers in this area in case you want to get straight to it. The Meindl Vakuum GTX, pictured below, for men are an excellent pair of leather hiking boots. They are top of the range, and so are at the higher end of the scale in terms of price, but you can rest assured they will hold your ankle securely over a wide variety of terrain. The only downside is that they are probably too much boot for hiking in warmer times of year, as they can be too warm. That being the case, we think the Lowa Renegade GTX are also an excellent option. 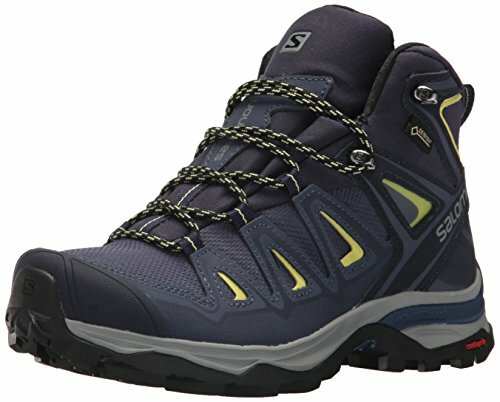 We think the Salomon X Ultra 3 Mid GTX hiking boots, pictured below, provide excellent ankle support and are a top of the range pair of boots. While not as pricey as they Meindl Vakuum above, they’re still an excellent pair of hiking boots. As a second runner, we again recommend the Lowa Renegade GTX hiking boots, but obviously the ladies version of this fantastic pair of hiking boots. Hiking just isn’t as enjoyable as it can be, without having proper hiking boots on. When you have the proper boots, you naturally hike with more confidence and so have more bandwidth to enjoy the trail, as you’re not overly worrying about where you are putting your feet. The above features we touched on are key elements in choosing the best hiking boots with good ankle support for you. However, as mentioned, we only touched on them here. If you are planning to buy a pair of hiking boots, check out our hiking boot buying guide, as it covers everything you need to consider when buying a new pair of hiking boots, and all of the constituent parts that go into making up a good pair of hiking boots, in much more detail. Remember to take the type of hiking into consideration too. If you typically hike on flat and even well marked trails, you likely have less need for very serious ankle protection, and you may even get away with trail shoes if the ground is very flat and even. However, if you enjoy a bit of off trail, it is worth investing in good hiking boots that have adequate ankle support. How To Tie Hiking Boots For Downhill Best Hiking Boots For El Camino De Santiago Hiking Boots Or Trail Shoes For Backpacking? The Best Hiking Boots For Machu Picchu How Long Should Hiking Boots Last?